Mobile manufacturing company OPPO, on Tuesday, became the new sponsor of the Indian cricket team, replacing broadcasting giants Star India. "The Board of Control for Cricket in India (BCCI) is pleased to announce OPPO Mobiles India Private Limited as the new team sponsor for the Indian Cricket Team," the BCCI said in a statement. 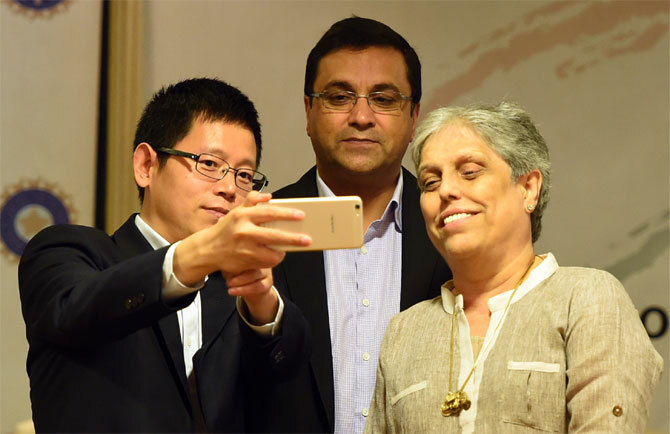 "The mobile manufacturing giant OPPO's association with BCCI will start from April 2017 for a period of five years," it added. Star India had made it clear that it would not seek a renewal of its sponsorship deal, which was to end next month. The company had cited differences with the Board on the commitments sought from them as the reason for its decision. Star India took over as the Indian cricket team's sponsor in 2013 from Sahara, which was declared ineligible by the Board. The team sponsor gets to have its commercial logo on the both the men's and women's kits.